1986 1/4 oz gold Eagle with a Mintage of Only 726,031! 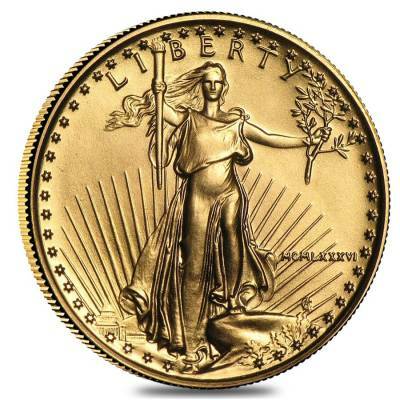 The American Gold Eagle is now the world's most widely traded gold bullion coin since it was released in 1986. This 1/4 oz coin are composed of 0.9167 pure gold. The obverse side of the coin features Augustus Saint-Gaudens' depiction of Lady Liberty carrying a torch in her right hand and an olive branch in her left, the sun's rays and the Capitol building on the background, and the coin's date of issue. 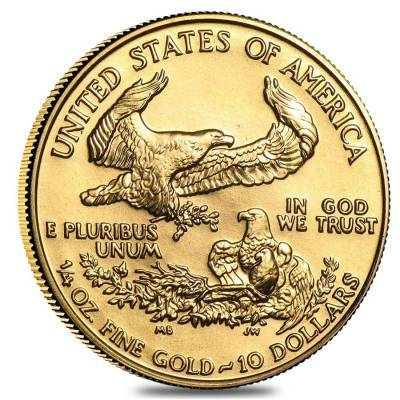 The reverse side features Miley Busiek's design of a male eagle holding an olive branch flying above a nest containing a female eagle and her hatch lings, along with the denomination and the weight of the coin. It has a face value of $10 and is in Brilliant Uncirculated condition. Like all of our other gold coins, this one is guaranteed to be 100% authentic. Its easy to buy coins from Bullion Exchanges. 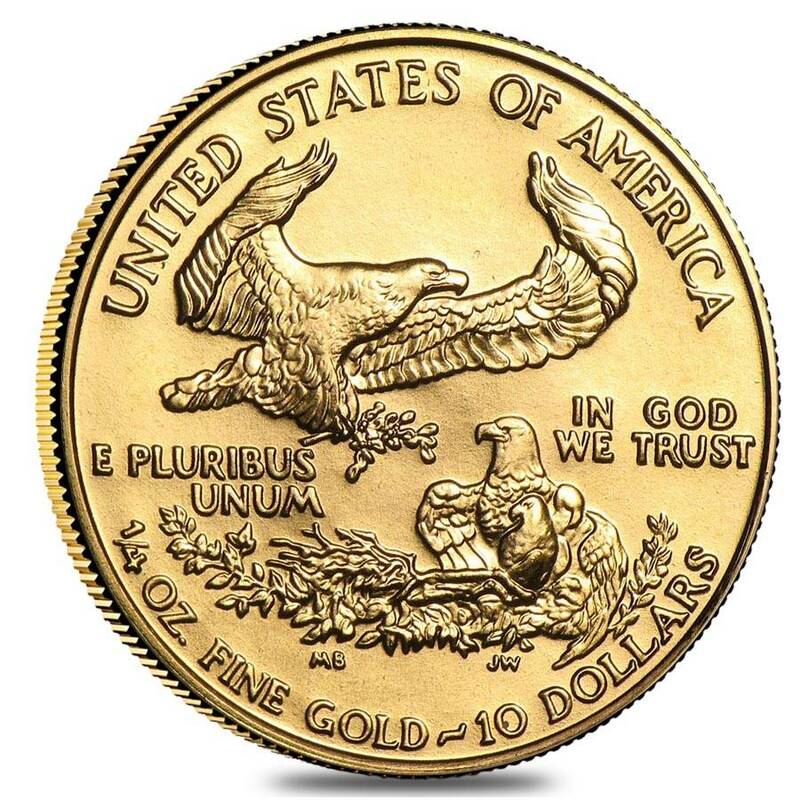 My new gold eagle is IRA approved and minted by the United States thanks BE! This isn't my first order with Bullion Exchanges and it won't be my last either. I got my Gold Eagle Coin exactly as described and with excellent packaging. Thank you BE!!! Bullion Exchanges shows up its rival companies with its great service! Unlike companies like JM Bullion, BE offers easy ordering either by phone or online and super quick shipping. I got my 1986 1/4 oz Gold American Eagle Coin in perfect condition! As a customer, I can't ask for more from a bullion company, Bullion Exchanges has earned my trust!!! I was not only impressed with the meticulous packaging but the fast service. I've placed orders with other companies and would wait for it to arrive over two weeks after I placed my order. Bullion Exchanges shipped my order out next day which was unexpected so you guys are now my go to Bullion dealers. For every $1 spend, you will earn 1 Bullionaire Buck which is equivalent to $0.001 off a future purchase. 357 BB = $0.36.